A gorgeous day like today calls for a dramatic hairstyle. 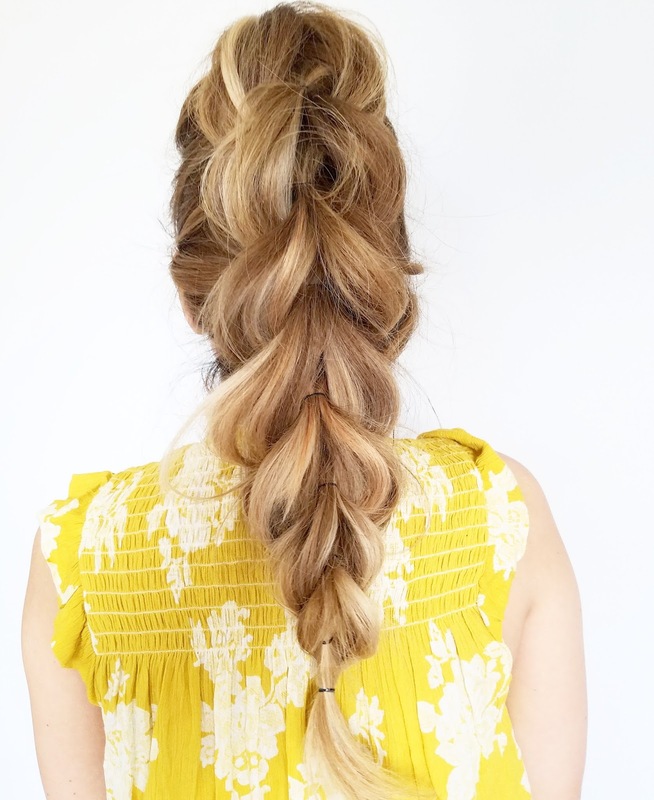 Try this pull through ponytail braid. 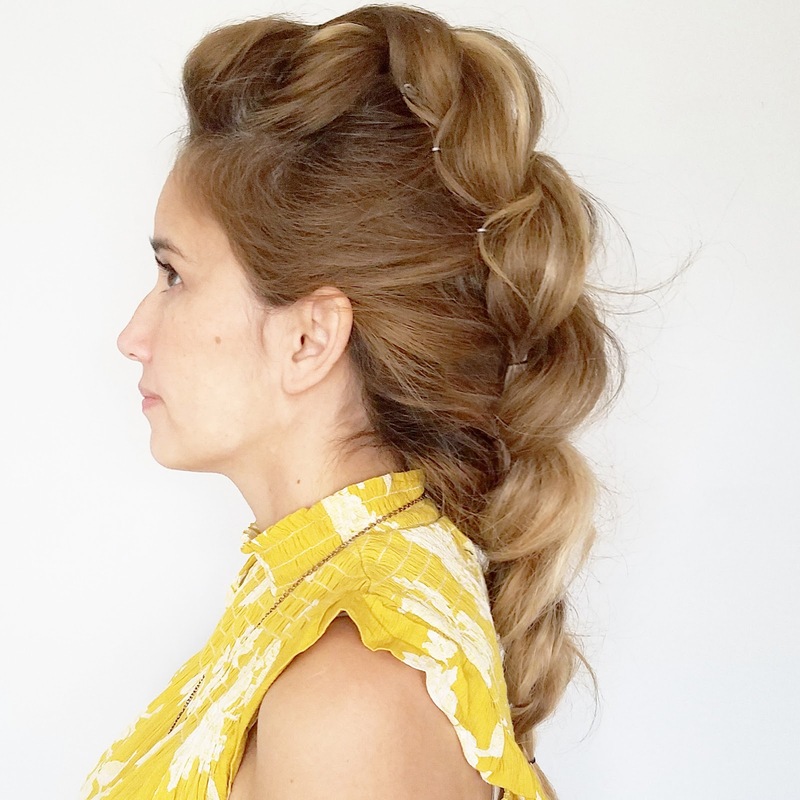 Probably one of the easiest braids you can learn. Just need small elastics and probably a few bobby pins. Tutorial from Cute Girls Hairstyles below.